Good point about lower level players needing some boosts too, its a problem in many games that as the end game gets further new players can feel very left behind. My baby park can use this, I never grow food there. I cant wait for the next one(s). 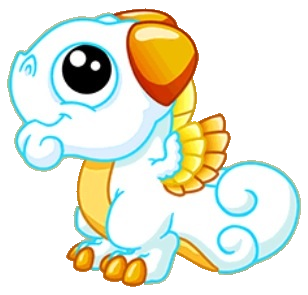 I can imagine lots of possibilities after the epic and gemstone leveling ones... Can we get a "guaranteed twin on next breed" Mythic dragon? If you just do your free roll every day, after 20 days with *average* luck, you will have rolled each of 1-20 once, so you will have 7 fragments in hand. 1 each for rolling 15-19 and 2 for rolling 20. If you spend 5 gems *before* the roll, the dice will get +1 added to it. If you do that every day, after 20 days, you will have 9 fragments in hand. Your rolls, rather than being 1-20, are now 2-21, and you have 5 fragments for the rolls 15-19 and 4 fragments, because you rolled 20 and 21. So without spending the 5 gems/day, the expected time to get 10 fragments is ~28.5 days. After 20 days you have 7, you need 3 more, that takes another ~8.5 days. With the 5 gems/day, the expected time to get 10 fragments is ~22.2 days. After 20 days you have 9, you need 1 more, that takes another ~2.2 days. So, with no gems, it will take a month for the 'average' player to get a Mythical, with the roll+1 from 5 gems/day, it will take 3 weeks. Wow, after how excited I was this morning, I am now *completely* and *utterly* underwhelmed. If that's all we get, I won't be bothering spending the 5 gems a day to speed up the Mythical dragon collecting. I'll just wait for them to come naturally. it's about 40% chance of levelling up a dragon, and a 5% chance of having a second go at a spin. It's has been pointed out that, you have to roll a number *higher* than the current level of your chosen dragon, to level it up. Which means I'm back to being completely underwhelmed, ahh well. I don't mind them giving new players an edge, but I think the edge is really small here (1 extra level on 1 dragon about every 20 days?). Those are dragons that we need a month to unlock without gem boost, which I think is longer than the time I took to get Gaia. The power is just underwhelming IMO. I guess this is the reason to have gems, anyway. Just out of interest, how did getting the Light and Dark dragons work? Accepting New Gifts: Nope, I can't return them! I'm not a leveller (all my dragons are 15-16 and I'm happy with that) so while I'll get the dragons to complete my park, I could care less about their ability. Can you roll for the treats when you've got the dragon and pass on the level if you roll it? Or are you stuck leveling a dragon up? If that's the case I'll need some random spare dragons to level up then sell. Also, not really sure how these dragons "change everything"? I'm sorry, but like magpac I'm pretty underwhelmed. Maybe I'm missing something? Now a guaranteed twin dragon IS a dragon I can get behind! Or, one that turns an existing dragon into a twin? THAT would be amazing! GCID: scarreddragon // Level 85 // CBC currently Carnival trying for a twin... laissez les bon temps roulez! Oh my, that would be an ability! I get to turn one of my dragons into a twin, and send the 'other' half of the twin to a person of my choice! That would be an *awesome* ability, both to help us work towards Blue Fire, and to help a friend struggling to get a dragon. Agreed. Love the D&D theme, but all these guys do is create food in a roundabout way. If you get a free level-up on a level 19 dragon, that's a very large payoff (5.2 million treats), but divided by 20 days, it's not really game-changing. You can read about it here: dragonvale.wikia.com/wiki/Dark_Magic_Event and here: dragonvale.wikia.com/wiki/Light_Magic_Event, the 2 'events' were running concurrently. Scratch that, it looks like you have to roll a number higher than the current level of your selected dragon, which means, this is not that great an update. Nice dragons though. Except it looks like a 40% plus chance of levelling up a dragon, not 5%, so that means the expected value of the payout is ~2M treats, and 4M if you use the +1/5gems. Still not game changing, but I'm hunting them. Now we just need the third one, which lets us level up epics! Edit: and if, as suspected, you have to roll a number *higher* than the current level of your selected dragon, this is back to being.. less than stellar, and hardly game-changing. A 'guaranteed twin' dragon would be amazing. I hope BFS makes something like that at some point. Could it be that you actually have to roll a number depending on the dragon's level? I watched the introduction video, and they said that to raise a dragon to level 13, you have to roll 13 or higher. That sounds to me like you could raise a level 1 dragon by rolling at least 2. And a level 19 dragon by rolling at least... 20. Which means we're back to 5%. Yeah, that makes sense, so I'm back to completely unimpressed. This is an boon for low-mid level players. Edit: My, this has been a rollercoaster of emotions today. Just in case anyone was wondering, using the Perch of Kairos to speed up time does not effect the timer on the new tower. Always wished it would work on the coliseum so that we could keep the reset time roughly the same every day. I'm in no hurry. I enjoy the 'down times' between events because it gives me time to catch up, and to redecorate. so was I, but they each have their own habitats which look really cool, especially Bahamut's. I'll post a pic of what it looks like on my tumblr. Boring. And underpowered. Other mythical dragons skip 6 hr and let you instantaneous hatch a dragon. This one gives you what a maximum 5 million food. I suppose more if you got elders to feed but who has NOT got all the elders yet. I'll stick with boring. Ok, to everyone saying they are underwhelmed or not super impressed by these mythical dragons, I hear you. It's not a drastic change. But let's take a step back here. Both Gaia and Kairos generate a power every four days. These two have theirs daily. 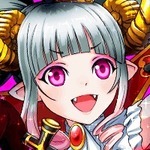 We are getting treats for free if we roll a low number, and save treats/gems to level a dragon up one if we get a high number. That's still something to appreciate. And they look amazing, a great take on the classic DnD myths. If you could choose any power for a mythical dragon to have, what would it be? I saw guaranteed twin power, and love that idea of course. Any other suggestions?